About Us – Mt. Hood Brewing Co.
ABOUT THE MT. HOOD BREWING CO. The Mt. Hood Brewing Co. opened in January 1991 in the alpine village of Government Camp, Oregon, serving locally-produced beers and hearty pub fare in a family-friendly atmosphere. In October 1992, the newly constructed ten barrel brewery rolled out its first barrel under the watchful eye of Brewmaster Jon B. Graber. The Mt. Hood Brewing Co. is named for a brewery that originally operated in Portland, Oregon from 1905 to 1913 during the pre-prohibition heyday of American brewers. Our distinctive ales are produced by the union of pure glacial water, Pacific Northwest barley and hops, and the inspiration of the Mt. Hood Brewing Co.’s brewers. These delightful beers can be enjoyed at the Mt. Hood Brewing Co. brewpub in Government Camp and throughout Timberline Lodge on Mt. Hood. Oregonians can also find these ales on draft at restaurants throughout the state and now at the new satellite location – Mt. Hood Brewing Co. Tilikum Station in Portland. The Mt. Hood Brewing Co. was founded upon the notion that beer is best produced in small, handcrafted batches utilizing the finest ingredients. The brewery’s commitment to this standard demands that each keg arrives at its destination while in its prime – fresh and wholesome. Thus, none of the beer leaves the State of Oregon. Like the beer, Mt. Hood Brewing Co.’s food is always fresh and the menu changes with the season. Kids and adults alike enjoy the pub’s tasty starters, vegetarian offerings, and hearty entrées. Many menu items are prepared with Mt. Hood Brewing Co. beer and are best paired with a cold pint. Thousands of skiers, tourists and locals have made the Mt. Hood Brewing Co. an institution on the south slope of Mt. Hood. R.L.K. and Company, operators of Mt. Hood Brewing Co. and Timberline Lodge, appointed Bryan Borgmeier as Head Brewer of the Mt. Hood Brewing Co. in fall 2016. He joins longtime Mt. Hood Brewing Co. brewer Jeff McAllister in the brewery. Bryan grew up in Oregon City, and completed his Bachelor of Science Degree in Economics from Linfield College in McMinnville, OR. It was at a Linfield class on homebrewing that he was introduced to the magic of brewing beer. He earned an Associate Degree in Brewing Technology from Siebel Institute of Technology in 2014. Over the course of the last several years, Bryan has traveled through Oregon and the Lake Tahoe area of California, gaining valuable experience at several reputable breweries. Brewer Jeff McAllester has been at Mt. 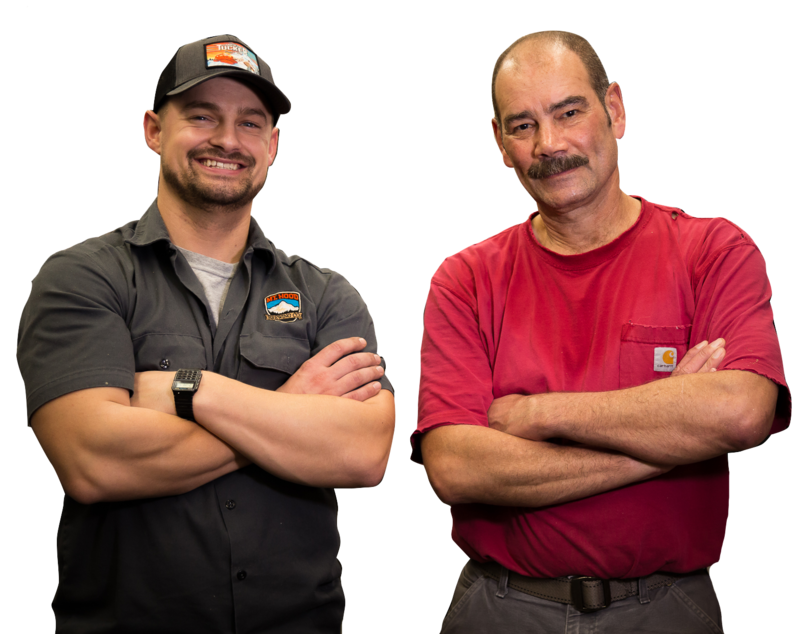 Hood Brewing Co. for 16 years following 16 years of working in various capacities at Timberline Lodge. Jeff has a Bachelors degree with Honors in English Literature from Lewis and Clark College, where he also studied Chemistry and Biology and always enjoyed the lab portions of his studies. While working at Timberline in Purchasing in the early 90s, Jeff became friends with Mt. Hood Brewing’s first Head Brewer, John Graber. Jeff spent a lot of time at the brewery comparing notes on styles, flavor components and the competition. When John left Mt. Hood Brewing in 2002, Jeff was hired as a Mt. Hood Brewing Co. brewer.